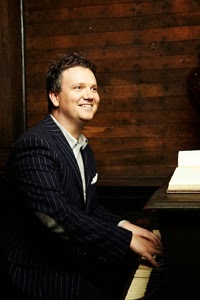 Wise words from Keith Getty on improving our singing at church - a much needed improvement! It seems curious that in a generation that has produced innumerable conferences, articles, blogs, and even university degree programs on “worship,” the topic of congregational singing hasn’t been raised more often. But even if we had been discussing congregational participation, would we know what goal we’re aiming to hit each week? I do not pretend to be qualified to write a theological treatise on this particular subject. Congregational singing is a holy act, and as I organize my thoughts, I hear my old pastor, Alistair Begg, reminding me that in our song worship, we have to be spiritually alive (dead people don’t sing), spiritually assisted (through the enabling of the Holy Spirit), and spiritually active (committed to daily walking with the Lord). I offer here some practical advice on strengthening our congregational singing, drawn from both our experience as musicians and also what we have seen and learned in our travels. Look at any congregation not engaged in worship through singing and the most consistent correlation is a senior pastor equally as disengaged. Ultimately the buck stops with him in congregational worship. Every pastor must be intimately involved in the language being placed in the congregation’s mouth, for that singing ultimately affects how they think, how they feel, how they pray, and how they live. The congregation should be treated as those who have been invited to a feast at the table of the King; don’t hand them junk food! C. S. Lewis believed singing completes our faith, explaining in his book Reflections on the Psalms, “I think we delight to praise what we enjoy because the praise not merely expresses but completes the enjoyment; it is its appointed consummation.” This is why I believe many of our pastoral heroes such as Martin Luther, Charles Spurgeon, J.C. Ryle, and Philip Schaaf produced hymn books in addition to preaching and teaching. Other leaders such as Horatius Bonar, Richard Baxter, and John Calvin wrote hymns themselves. Pastors not only have a duty to be involved in preparing for the time of congregational singing, they also have a responsibility to personally model and demonstrate the importance of it. We need pastors who constantly delight in their congregation’s singing and the musicians who serve them and who also joyfully and authentically participate themselves. Pastors, take up your duty in this act of worship called congregational singing. Worship leaders, pray for your pastor faithfully and do your part to develop a thriving relationship with him. The most influential worship leaders in history have almost always had close (though often tense) relationships with their pastors. If congregational singing is a holy act, and if we are what we sing, then we can’t be lazy in selecting songs. We must sing great songs—songs that artfully exult Christ with deeply meaningful lyrics and melodies we can’t wait to sing. Better to have a small repertoire of great songs (that you will sing well) than a catalog full of songs recycled for sentimental reasons or chased after because they are the “latest” thing. Writing or selecting great songs is not an exercise in lyrical propaganda or marketing. It is not merely laying scriptural truth alongside any melody. It is an art form that arrests our emotions and intellect in mysterious ways. Just as a master chef selects ingredients that are at the same time nutritious, aromatic, and flavorful, the selection of songs for congregational singing must excite at a number of levels. Great songs have stood the test of time. They have been passed on to us from our fathers, and we should pass them along to our children. Assemble any Christian group, and practically everyone can join you in singing “Amazing Grace” confidently and passionately. We’re drawn to sing great music, much like we’re drawn to stand in awe of a beautiful painting. There are great new songs—they breathe fresh air into our singing and help connect age-old truth with modern sounds. These are appropriate, too, though harder to find. Recently I invited two unbelieving friends to a Christian event. The artists on stage played songs with interesting lyrics but awful melodies. I asked my friends what they thought about the concert. “These people obviously don’t take their subject matter very seriously,” one friend replied. Now, I know for a fact this is not true. But art ultimately expresses life, and low-quality songs do not reflect spirited, serious believers. From the individual who leads music, to the worship teams standing up front, to those of us who follow as members of the congregation, it’s vital to build a culture where everyone realizes our corporate responsibility before God and to each other is to sing together. Throughout Scripture, the command to sing is given to God’s people more than 400 times. Ephesians 5:19 instructs believers to address one another in “psalms and hymns and spiritual songs.” Week after week, we are spiritually renewed, realigned, and sanctified by singing to the Lord and singing to each other as the body of Christ. Sadly, some of the churches with the newest facilities and most forward-thinking pastors are weakened substantially by lackluster congregational singing. It is an awful witness for outsiders to watch believers so disinterested in singing to their Creator and Redeemer. Many of our common challenges—the overly exuberant drummer, the diva-like background vocalist, the subversive choir member, or an unhealthy priority on performance—can be corrected when we teach and encourage those involved in our music to be excited about using their many rich and colorful gifts for the purpose of supporting the congregation. Every singer, instrumentalist, and choir member should share in facilitating the high calling of congregational singing. Scripture often commands us to make music that is both good and excellent. For example, Psalm 33 tells to both “shout for joy in the Lord” and also play our instruments “skillfully” (verse 3). This instruction is consistent with our calling as believers to work heartily at whatever we do, as for the Lord and not men (Colossians 3:23). The music need not be complex or style-specific, but we must take seriously our role in such holy activity. This leadership requires people who are trained and well-prepared. As with all work that involves creativity (whether preaching, mothering, or running a business), we should constantly seek to be fresh, interesting, and connected with our congregations. Listen to new music, arrangements, and sounds. Examine our heritage of liturgies for insight to ordering the song service. Reach across the aisle, meeting with leaders from different churches and denominations to learn about their music selections. In scoring for films, the composer and performers use all of their musical excellence in service of the story. In similar fashion, the singers and musicians should bring to bear their musical excellence in service of the congregation. There is no dichotomy between musical excellence and congregational worship provided the excellence is given in service of the congregation. Having progressed in each of the areas above and putting them into regular practice in services, be intentional about what is sung and when. Don’t treat your library of congregational choices like selecting “shuffle” on you iPod. Instead, be intentional in ordering the service, heeding Eric Alexander’s caution that congregational praise begins with God and his glory, not man and his need. Ask why you are singing at a given point in the service, and be sure that the selection for that moment is appropriate. Also, learn from the rich heritage of liturgy and how it provides a pathway of ordering songs for a service. Why not in 2014 begin the Monday morning review by asking, “How did the congregation sing?” and, “How can we help them do it better?” Starting here, we may find that the other questions begin to resolve themselves.